This is not a wine review. 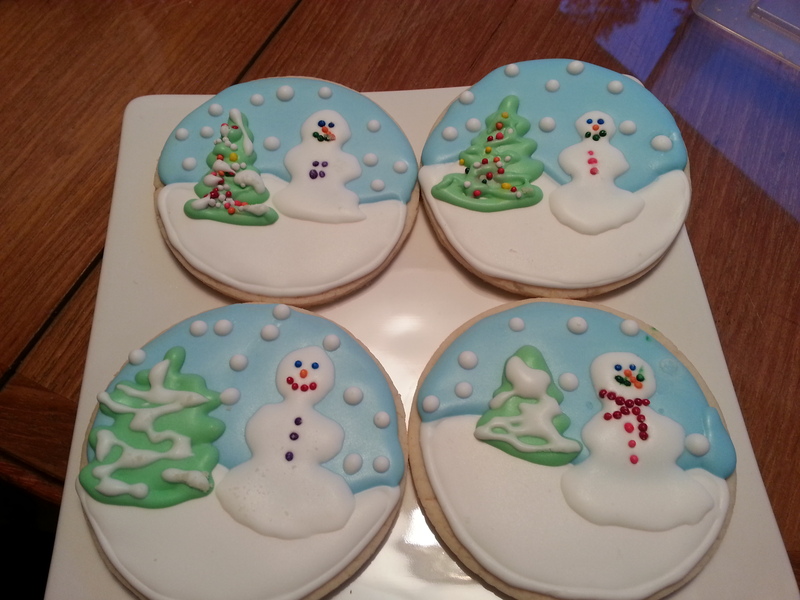 I meant to post this in December 2013. It is simply my 2013 favorite wine label. No “Punch in the Face” wit, no hip design, an honest reference to the work involved in the field (we call them pruning shears in North America, not a very fine name for wine), a painfully retro olde worlde motif. It was like the Huguenots drew it on scrap a couple centuries ago and the “vision” at the consultancy firm for the makeover didn’t work out. 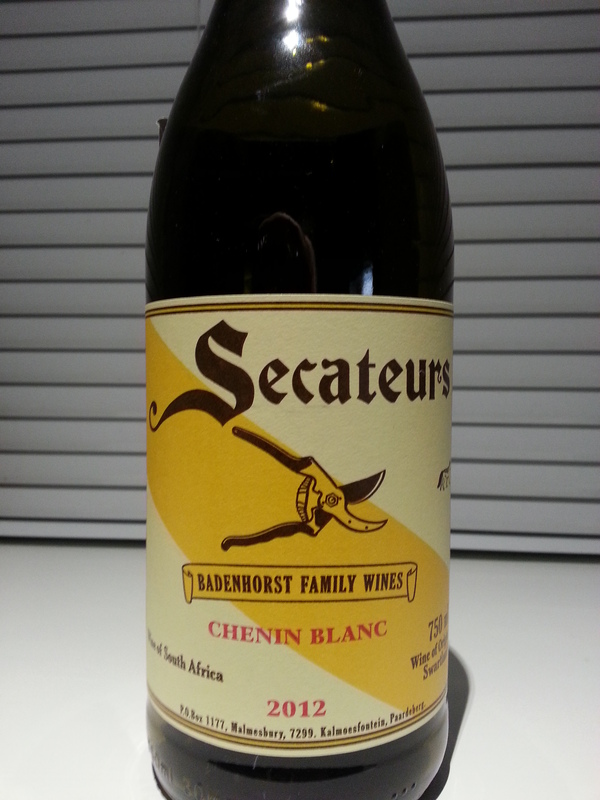 Oh, by the way, a fantastic Chenin, if that’s your thing. Velvet. Easy drinker. Lovely violet, vanilla, black cherry. A ludicrous 15 per cent alcohol but uber-palatable. Very food friendly. A touch over our price bracket but worth it. The Spanish really now how to get things done. Price: $24.99 at Everything Wine. Market Liquidity: Like curling up beside a warm fire. Blacch. One of us actually did a spit take although I won’t point any fingers. The worst wine we’ve drunk in years. It’s inexpensive—so let’s give it a pass in some respects—but this is god awful at any price. It has an innocuous nose, an empty bouquet on the palate and the most shockingly grotesque finish: A mix of petrol and yard waste. Astonishingly disappointing. Price: $16 at Everything Wine. Market Liquidity: Not even for risotto. Battle of the prime rib reds. 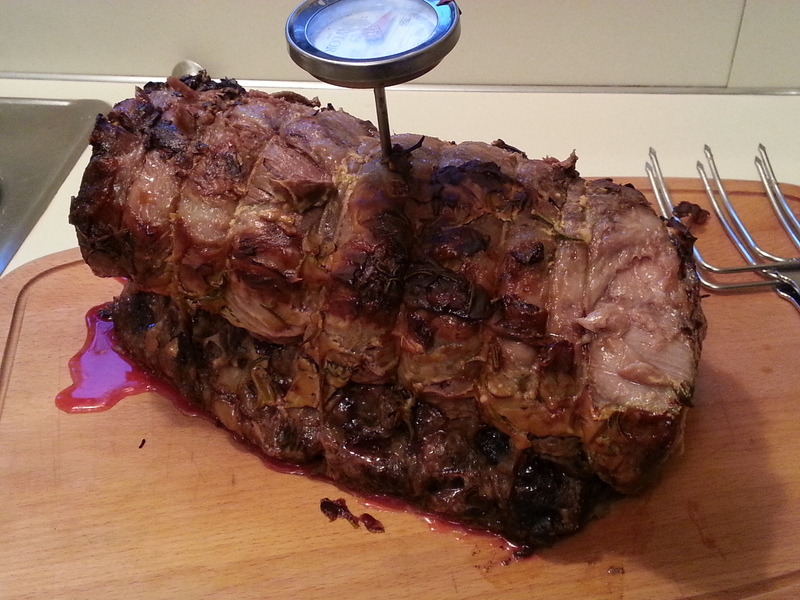 On New Year’s Eve we sat down to a Bedrock Flintstone sized prime rib roast with two fine bottles of BC reds to compare. Actually, we had a third, but never got there. 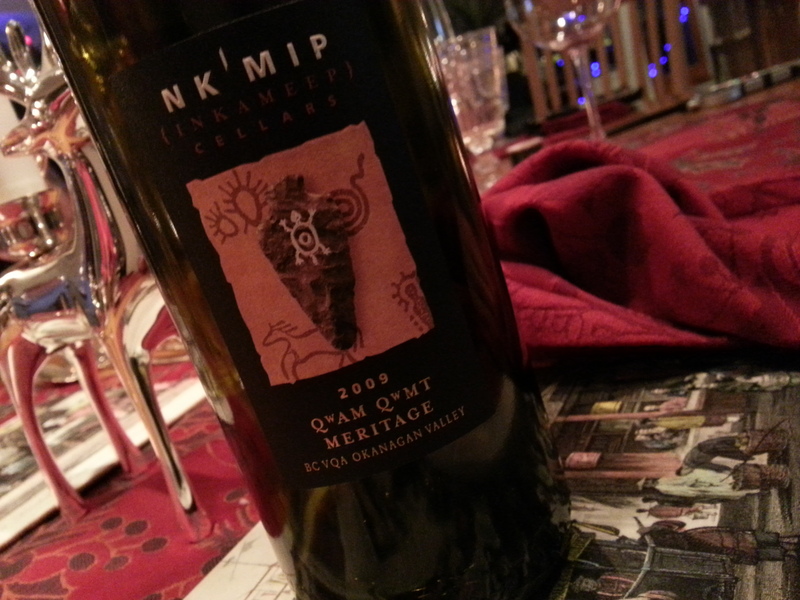 The competitors were a Nk’Mip 2009 Meritage and a Cab Sauv from Black Sage. Both were outstanding. The Meritage sipped silky smooth with notes of cedar and luscious bright berries. It was, out of the bottle, stellar. 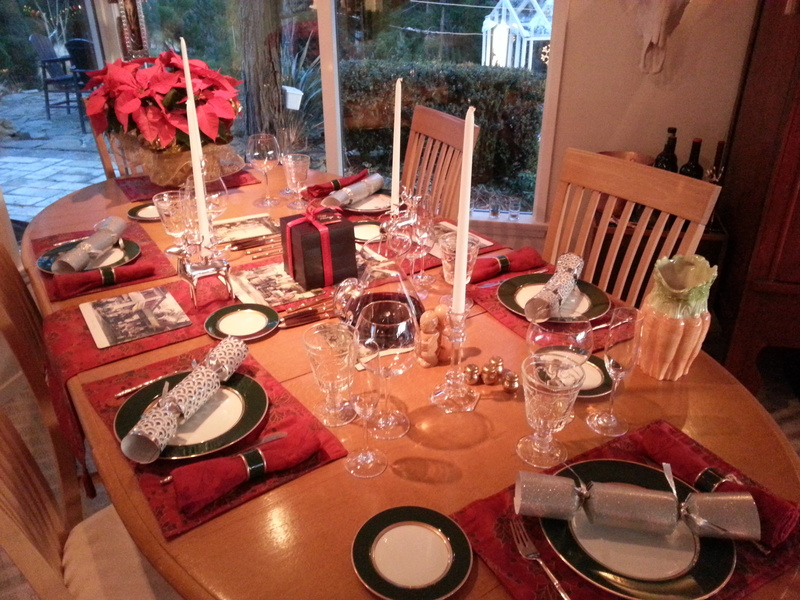 We decanted the Black Sage mid afternoon and didn’t pour any before we sat down to eat. The Nk’Mip was Apollo Creed through the first 14 rounds but once dinner was served the Black Sage was Rocky Balboa. Whoa. Deep, dark, mysterious, food friendly to the nth. 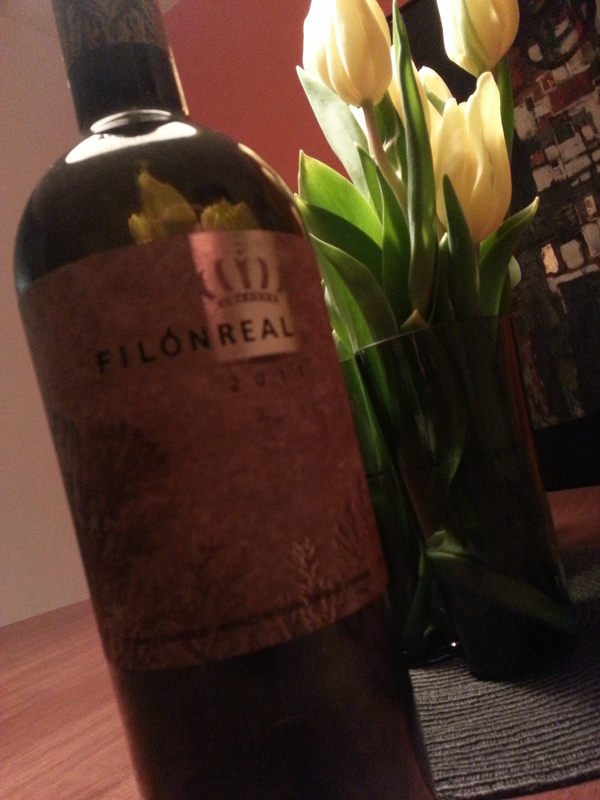 Uncompromising in its statement as a forward Cab Sauv, but overwhelmingly complex too. 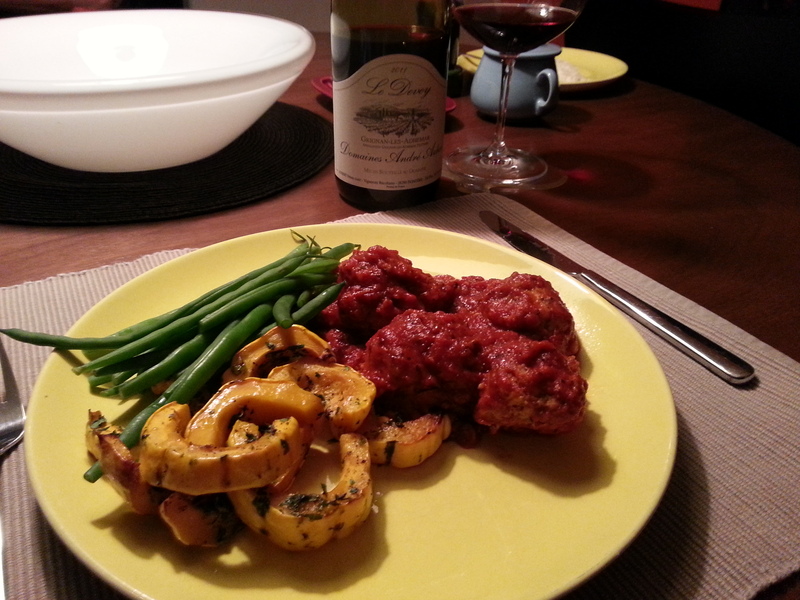 The Meritage simply didn’t have the (comparable) legs to bolster strong red meat. Still, we loved both, and finished both. 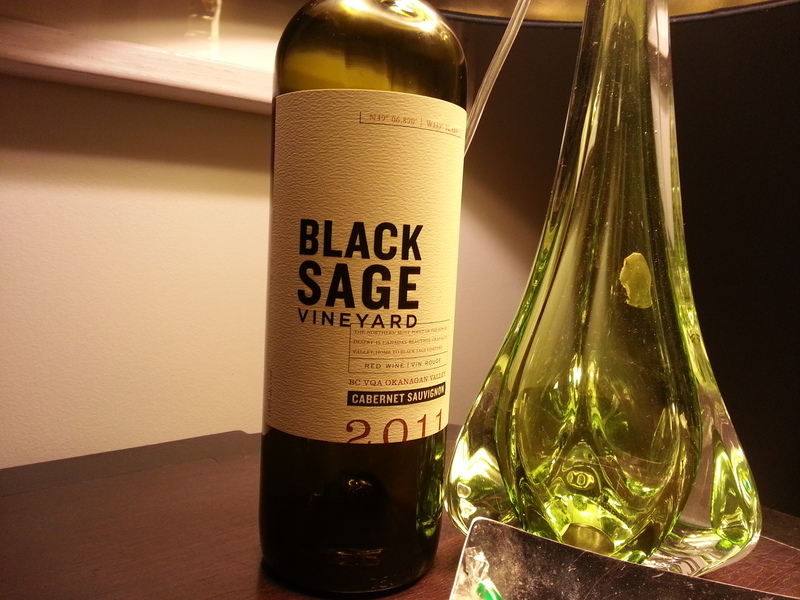 Price: Black Sage readily available at BC Liquor for $25; the QQ Meritage, at about the same price, can be found at the friendly VQA stores in YVR. Both outpaced the more expensive Nichol reds and virtually anything from the crazy prices for kindred reds at Le Vieux Pin. Market Liquidity: Rolling in the deep, but no tears will fall. Everything Wine Wine Club, December 2013: Six different wines, two bottles of each. Here is a review of half of the EW box from Christmas. Light, appealing, in the Alsace style. 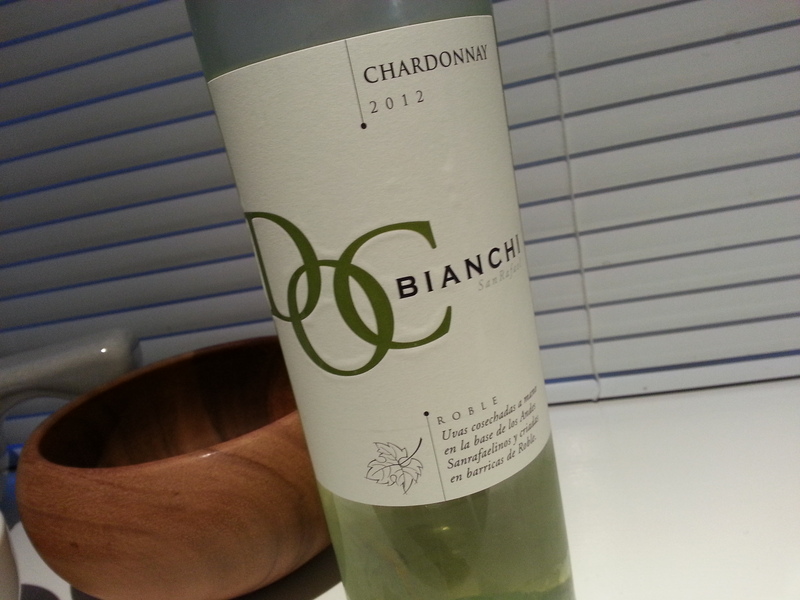 Loaded with stone fruit flavour, a tad sweet with just a light hit of acidity. Delectable and low in alcohol. A cheese souffle marriage. Unbelievably gorgeous red. Stupendous value. If in BC, where the wine tax is sky high, we’re paying under $20 for wine this good, it beggars the mind what the French pay; maybe it’s on a spigot at the local bistro? From the get go this has all the hallmarks of a new world red, astonishingly good, a deep purple hue with sharp notes of blueberry, cherry, plum and an undercurrent of barnyard hay and leather. Appealing as an aperitif, creamy with a meat main. Only thing that held back higher praise was it’s (also new world-ish) high alcohol; 14.5%. We thought that was banned in France? Market Liquidity: Gold, Jerry, Gold. Ah Chinon. Nothing like being in a French village and ordering a reasonably priced bottle of Chinon. So it was a surprise and maybe even a novelty to see a Cab Franc included in the mixed lot. 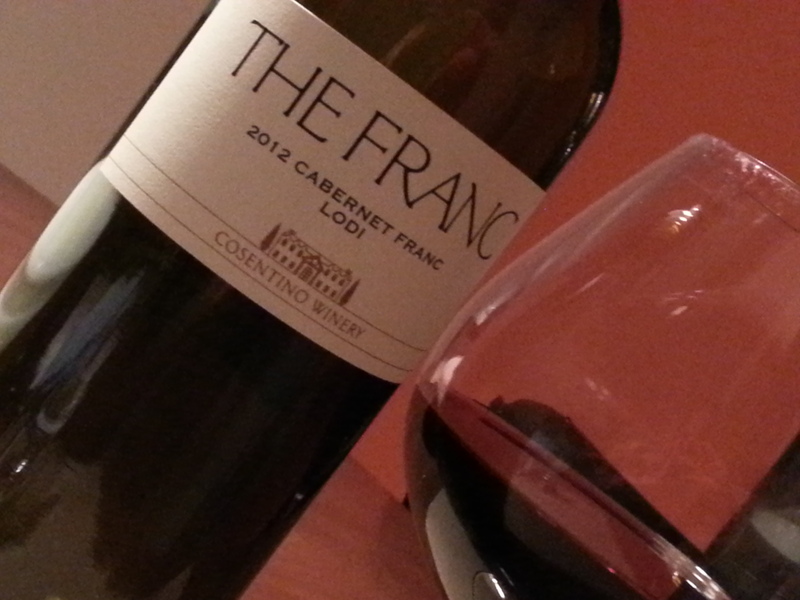 The Lodi Cabernet Franc proclaims itself a “cashmere” of reds. 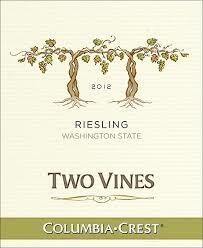 I will give it its due; it drinks smoothly, easily, and is a brilliant new world example of the varietal. But it’s also a bit like being in a cigar store; heady and appealing but ultimately overwhelming. We found it both lovely but a bit tiring, if you get my drift. Market Liquidity: In the words of Mr. Burns, too much dancing, not enough prancing. This wine carries the weight of “significant” reviews and high points, trying to live up to the influence of the point scale. But it also faces shelf space against myriad fine Spanish reds which have flooded the shelves the last few years. And in both cases, our verdict is that it’s losing. Sure, it’s an easy drinker. But I would call it demure, if such a word has ever been used in a wine review, without the surprise, zing or luxe of so many competitors. It would, most likely, please most of the people most of the time, with its simplicity, softness, and lovely finish. But what of the flavour and depth and layers of interest most Rioja holds? Scant. We were hard pressed to even come up with six simple adjectives characterizing its drinkability. It is apparently mainly Grenache but it drank more Tempranillo. If your rich uncle is buying, get a half case. But if it’s your own pocketbook, I’d be inclined to spend ten bucks less for something just as good. Market Liquidity: A good wine, not a great wine. AKA Shiraz. Toxically good. An arresting red with a sharp hook that is immediately appealing and alluring. Minerally and medicinal, coarse berry notes, blackberry and black currant, pepper and the sort of concord grape juice flavour you might get in a jelly candy. But without the sweet; this is dry dry. 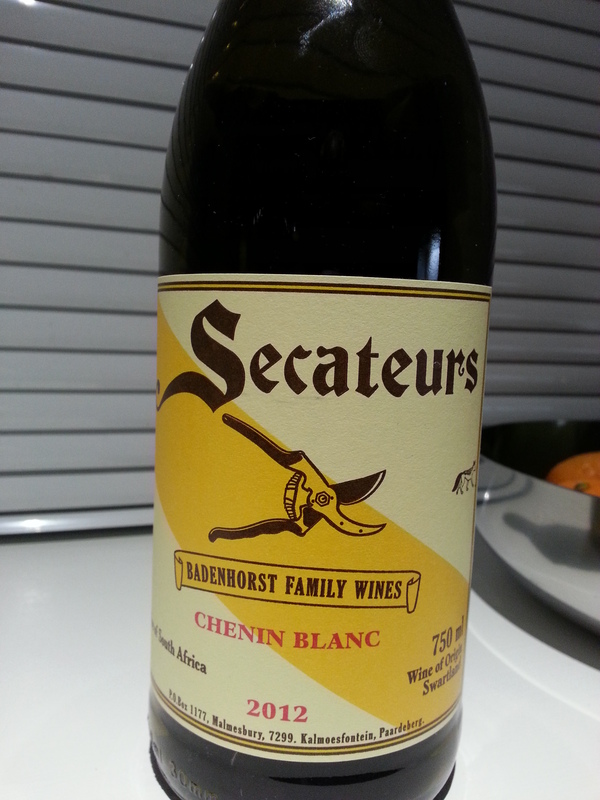 There is an earthiness to this wine, something that seems unchanged over time. When we were in South Africa a few years back, the Cape had a lot of red wines which tasted as though the Huguenots who brought the oak and vines were still plodding about in the fields, as if we’d left all the Vinotopia tinkering behind and were left with just good craft. This vintage was like that experience; it drank like a find at an antique market. Not what we were expecting, not soft and eloquent and airbrushed to elicit the points and esteem. Although worthy of course. 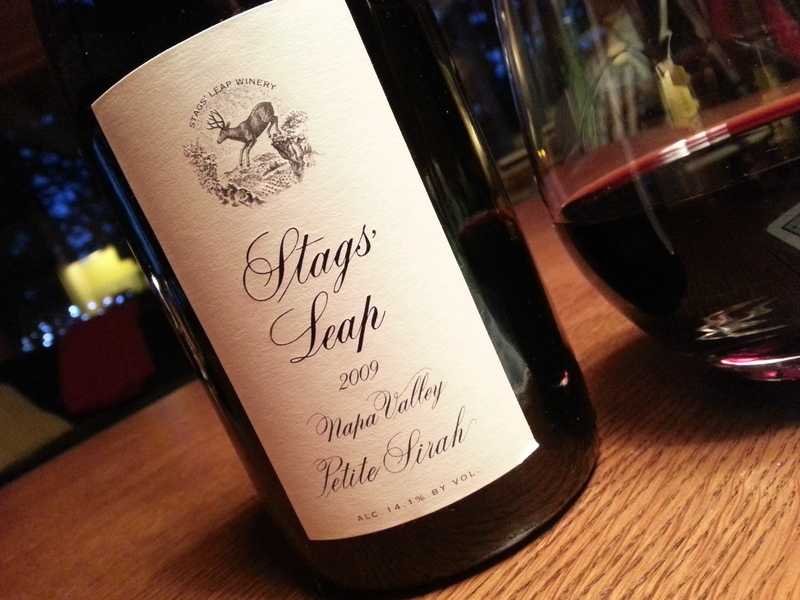 See our stunningly reverse experience with a mediocre Stags Leap here. Price: A hefty $40 USD. 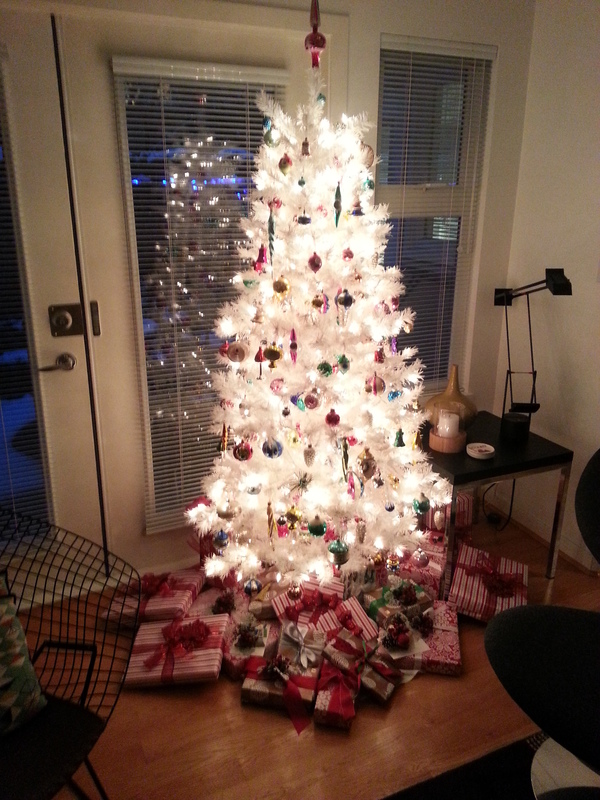 But it was after all in keeping with the Christmas spirit. Market Liquidity: Oldy Worldy in a good way.